This drawing is from a number the artist executed in China, on a trip there in 2001. He drew them in a sketchbook and they are based on his observations of everyday life in the cities and villages he visited. 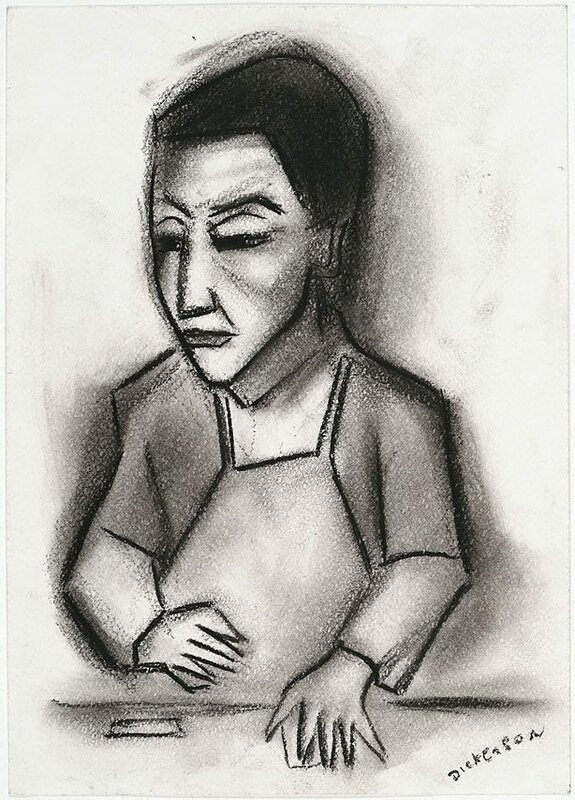 Signed l.r., charcoal "DICKERSON". Not dated.